Revised card storage incl. single and multi-room cleaning, quieter operating noise thanks to modified exhaust air guidance, optimised climbing abilities, disposable wiping cloths, improved combination brush with removable guide bearing for easier removal of any hair and fibre residues – Roborock seems to have reconsidered its successful Mi or 360 S5 designs in many respects and once again successfully further developed them. All presumed information about the new Roborock T6, which will be primarily reserved for the Chinese market, can be found in the following article. Rockrobo already had great success with the Xiaomi Mi Robot Vacuum. The Roborock S50 represented the logical development of the highly successful first product and expanded the customer base to include those customers who wanted a combination model with rudimentary wiping functions. Soon the second model of the former Chinese start-up mutated into a real bestseller. In China alone, millions of units probably changed hands and put established industry giants such as ILife and the market leader Ecovacs Robotics under considerable pressure. Although the latter was responsible for successes in software development, Rockrobo, if one can believe the recently leaked product video, does not let up, presumably presents with the new model T6 some sales-promoting optimizations and offers with the revised card storage finally those improvements which customers might have wished for a S5 since the release of this function extension. According to the marketing department, however, the T6 will not officially reach Europe. The model is intended exclusively for the Chinese market, was confirmed on request. European customers, who already see their existing device mentally on the substitution bench when watching the product video, should be told that a presumably similar model for the local trade will also be presented very soon. The exact date is still unknown. 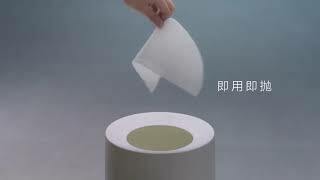 Disposable wiping cloths for dust and damp wiping, which can be disposed of in the household waste after use. This should also make the question of several floors superfluous, as the marketing department, which is particularly active in Europe via Facebook, had already surveyed users of the social network weeks ago on the ideal number of cards to be stored. Rockrobo keeps his promise of at least 3 memory slots for entire floors, divided floors or even several apartments. Rumour has it that people are also working on the early preventive detection of all too unpleasant legacies of typical pets in order to effectively prevent them from entering such polluted areas. In the past there have been repeated contacts between robots and urine, vomit or faeces from cats and dogs. This is distributed over a large area of the room or even absorbed into the interior of the device and promises real pleasure when cleaning floors and equipment. So far, nothing of the kind can be inferred from the video. The fact whether buyers of the new model for the European trade can count on an automatic extraction station, such as the iRobot Roomba i7+, does not emerge from the first advertising clip linked to the new model. It therefore remains exciting. 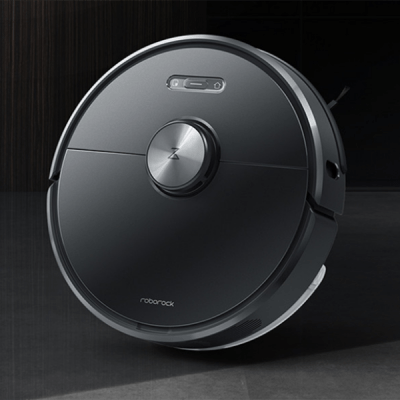 A lot is possible, the RoboRock T6 seems to be a slimmed down version. We can therefore continue to be excited. The S50 is a great robot! The price will drop now for the S50 😀 and it is a great robot. From what I see the 3rd generation (T6) brings not much to the table. They could have waited a while longer (1-2 years) perfect more their tehnology and put on the market a vacuum with a docking base that cleans itself (like the iRobot Roomba i7), or that mops better (maybe a vibrating or rotating mop to it's «tale» that can be added/removed when needed to mop). They could have very easily upgraded the 2nd generation software more, to remember more maps/floors and to ad that detailed zone cleaning (kitchen, bedrooom, etc). If the robot couldn't insert those zones itself they could have easily done the map customisable and allow clients to draw their zones. I have a 2nd generation Roborock and i see no reason for me to upgrade to Roborock T6. You can make small holles to the 2nd generation mop filters and whater poors faster + i add cleaning solution (both for tile floor or laminated depending what i am clening) and with my method it is perfect. I ONLY HOPE THAT THEY WILL NOT SABOTAGE UNPORPOUSE their old version. By redoucing sound the 3rd generation could vacuum not so good as the 2nd (we will see) and they could send faulty updates that in time could make 2nd generation go worst than the 3rd (reduce vacuum power, worst orientation, etc). Apple (those thiefs) did that to their iphones and i am sure many companies do that too.